The latest enthralling case in Tess Gerritsen's New York Times bestselling Rizzoli & Isles series, the blockbuster books behind the smash hit TNT series.Boston Detective Jane Rizzoli is on the case of a big game hunter found dead in his apartment, alone with the body of a beautiful white snow leopard he had recently been commissioned to procure and stuff for a high-profile museum in the area. Medical examiner Maura Isles connects the case to a number of seemingly unrelated deaths where the victims have all been found hanging upside down, the hallmark of a leopard's kill. Rizzoli follows the puzzling trail of clues all the way to Botswana, where she uncovers the unsolved mystery of a deadly camping safari four years prior. 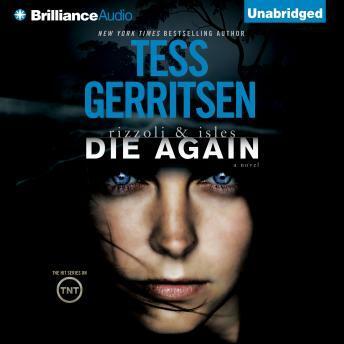 When she realizes the two cases are connected, Rizzoli must track down the sole survivor of the tragic trip to discover who—or what—is behind these gruesome deaths. Two thrillers twined in a trans world mystery great read, not at all your usual Tess G.
Great Book. I enjoyed the twist at the end. I also enjoyed the split story tying together midway through the story.